Since 1986, Tumblebees Ultimate Gym has been committed to helping over 35,000 children develop their physical aptitude, fitness, sport and life skills. The Tumblebees sports training facility and their professional coaches offer instruction to all ages of children – from beginners to world-class athletes, competing in International competition. 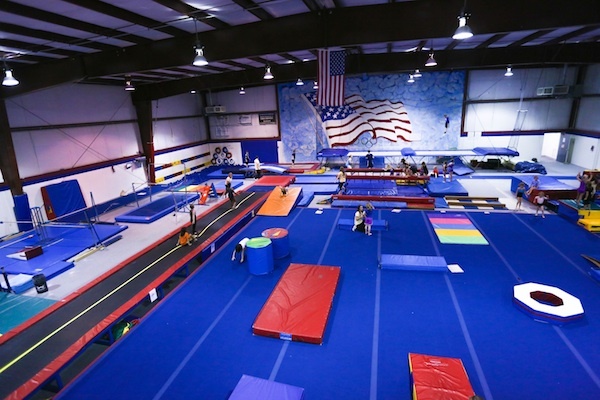 Originally a developmental gymnastics academy, Tumblebees Ultimate Gym now also offers recreational and competitive programs in tumbling and trampoline, cheerleading, diving, dance, karate and rock climbing, in its Greensboro locations. WSI was retained by Tumblebees Ultimate Gym in January of last year to optimize their website and increase traffic and leads from parents of young children who desired a structured and fun, fitness development program. Once keyword research for all sports disciplines was exhausted, 19 keywords were selected and nine pages on the site were optimized and additional content was provided. Within six months, 9 keywords had first page rankings and 3 keywords had second page rankings. By year-end, the number of sessions and traffic on the site had increased by 40% and the pages viewed had increased by 61%. This year, the digital marketing plan will include an increased budget, persona research to better understand their potential client and creation and syndication of relevant content to several social sites, including a little used Google+ page. With the help of a content calendar, regular posts will be made to the social accounts and also to new blog accounts on Blogger and Tumblr. Citation building will also be a vital part of the off page optimization strategy to drive traffic and build links to their Tumblebees.com site.